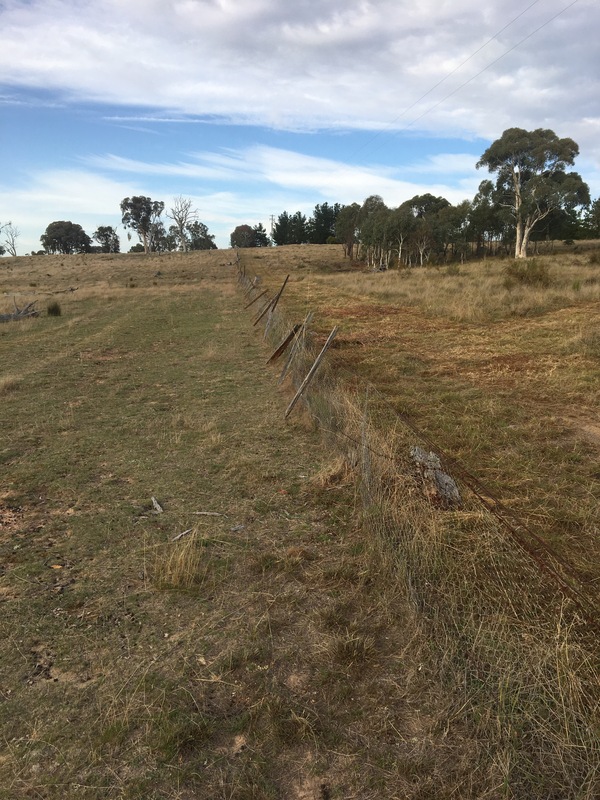 Fencing on any rural block is a challenge. The old story of the grass is always greener on the other side holds true for some of my sheep – despite my best efforts. And to make matters worse, kangaroos and wombats hold modern fencing in scant regard. It seems the native animals hold onto ancient paths, and fences are mere obstacles that must be pushed under or through. 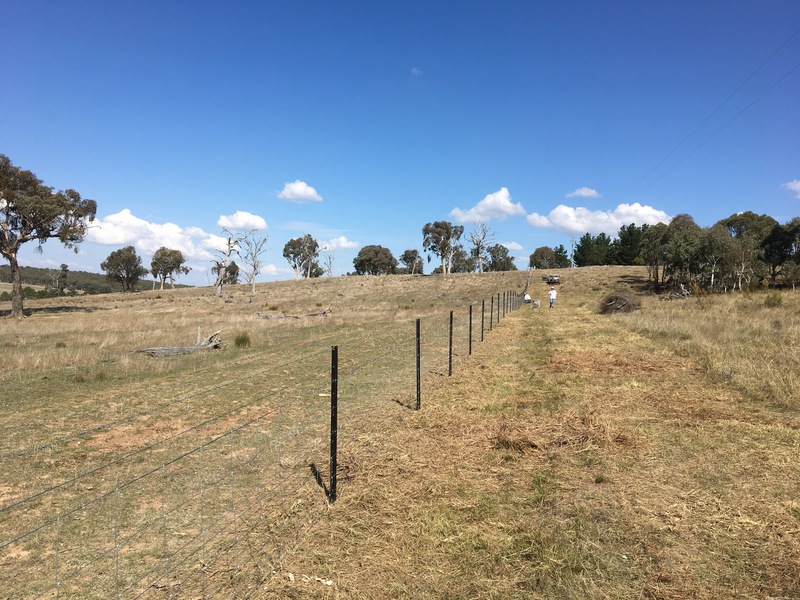 Boundary fencing adds another challenge to the mix… The of inclusion another person into the mix. With around 4km of boundary fencing and 4 neighbours on our hundred acre block, it is no small concern. 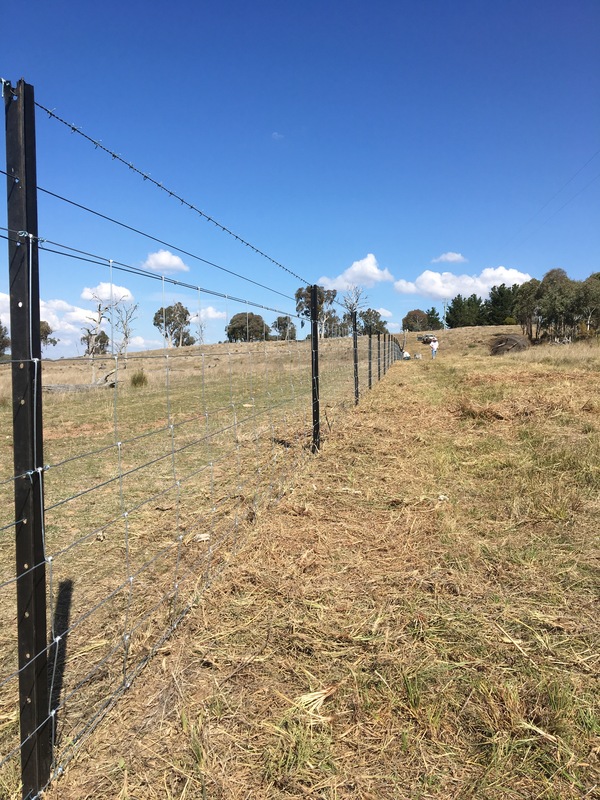 The basic principle of boundary fencing is that both parties have an equal responsibility to maintain the fence. This means you both pay for the fence, you both maintain it, and when the time comes, you have to agree to replace it. And fencing is bloody expensive. 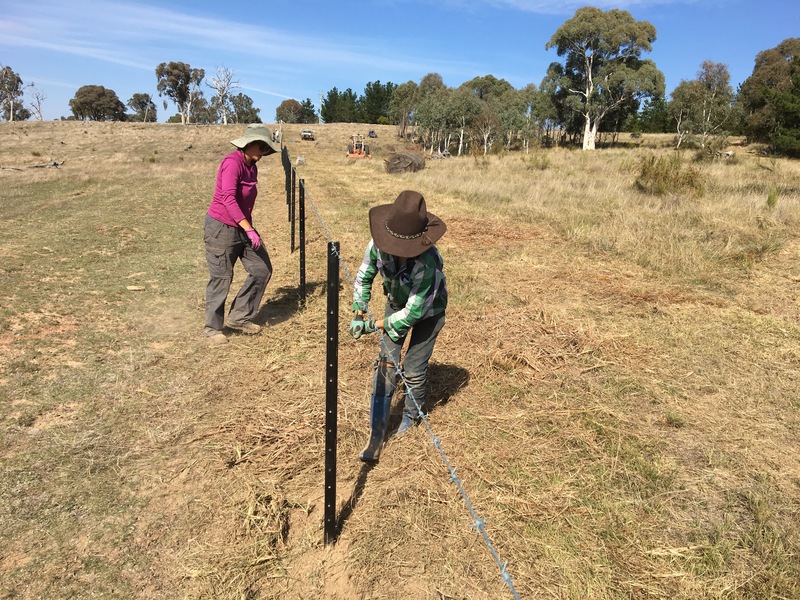 We had a stretch of about 150 metres of our boundary fence that had long passed its usefulness. My neighbour had been hinting for years we needed to do something about it, and finally we got our act together. 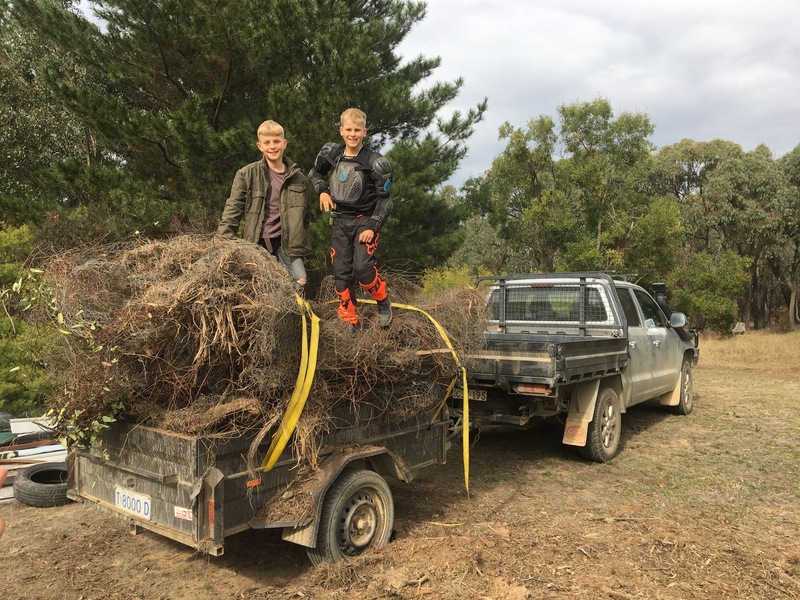 It also helped that we had some cheap labour come and visit… So with agreement reached, materials sourced and labour on hand, it was time to crack on. The first job was to replace the rotten strainer post. We gave the new post a few days to settle before we pulled out the old fence. The old fence was all timber. 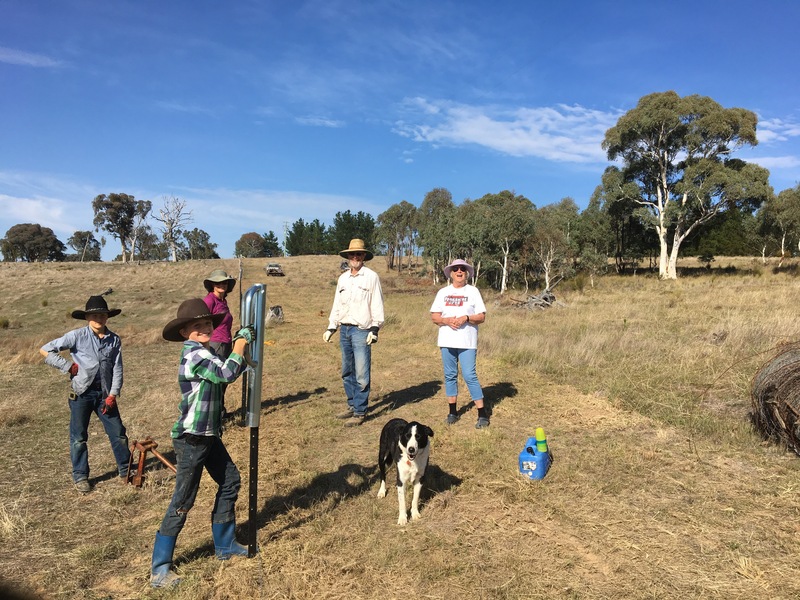 We split the wire out of the old red box timber posts, but left the lighter stringybark spreaders in place. The old wire was rolled into two bundles, and then it was time to bang in the new star pickets. We got our line by stringing a line of barbed wire first. This wire ended up being moved and tied to the top of the pickets. It was all hands on deck…for a while at least. Unfortunatly our neighbour was ill, and unable to assist (provide adult supervision). So we did our best. Once the posts were all in, we moved the barbed wire to the top of the pickets, and then strung the plain wire. 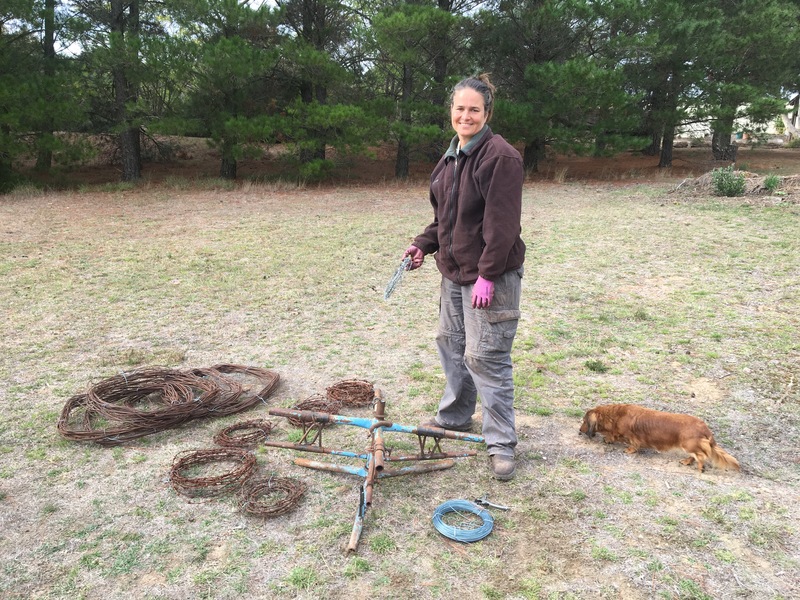 This was only the second time I had used a wire spinner, and this tool was fantastic at ensuring the wire spun tangle free through the posts. Finally the hinge lock mesh was rolled out, strained. The end result was a fantastic new stretch of fence… that makes the other sections look decidedly shabby. We were able to salvage the old wire. Jo thought it would be perfect to reinforce the base of the orchard/vegetable garden. Our chooks live here, and occasionally rabbits and foxes do visit. So the old netting was cleared of its wire and repurposed. The old plain and barbed wire was respun using the same wire spinner (doubly brilliant), and will be turned into garden art – or sold. 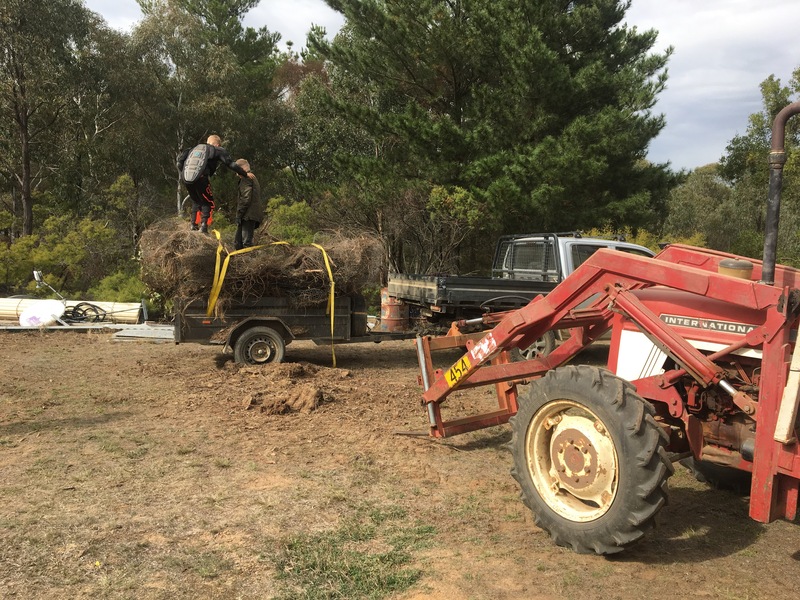 We used the opportunity to clean up some other netting that had been left lying in another paddock. This hadn’t been neatly rolled, but a handy set of hay forks soon helped move it from its resting place and to the steel recycling area at the local tip. Special thanks to the willing labourers, and best wishes to our poorly neighbour.